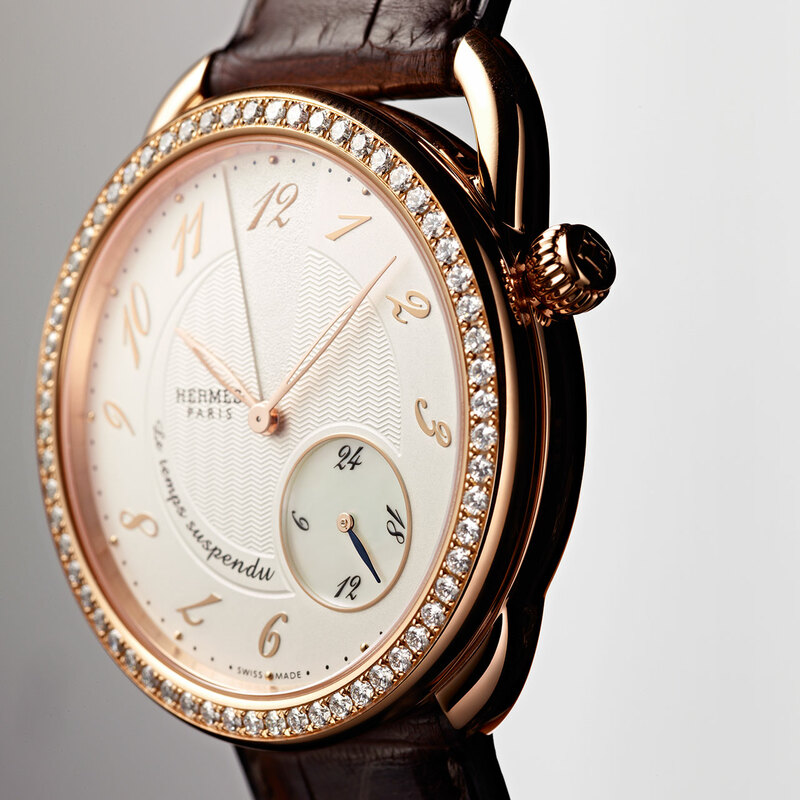 It’s time to dream at Hermès. A new chapter in the story that started in 2011, Arceau Le temps suspendu adopts a 38 mm case and prolongs the interlude in time begun with the first model. A press on the pusher at 9 o’clock, and the magic begins to weave its spell as the hour and minute hands come to a halt at round 12 o’clock. The time is erased from the dial and thus dissociated from standard time that begins running thanks to the Manufacture H912 movement. A playful hand, turning counter-clockwise on an indicator between 4 and 5 o’clock, signals that the mechanism is indeed in operation. Another press brings the hands back to their proper place and time starts running again. 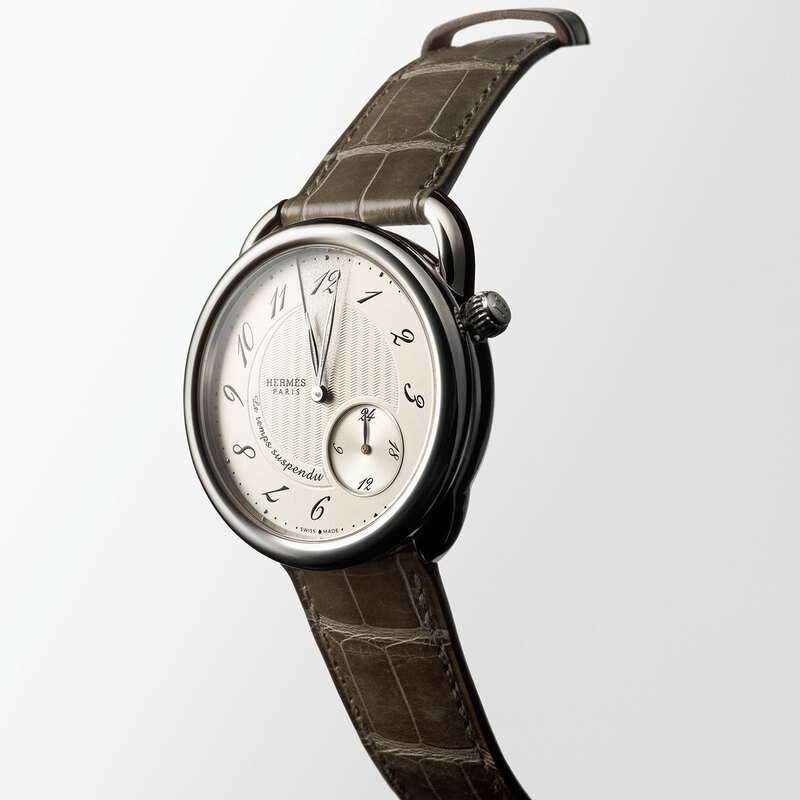 Mechanical automatic, Manufacture H1912 calibre, 40 jewels, 28,800 vib/h, 50-hour power reserve, circular-grained and snailed plate, satin-brushed bridges and oscillated weight sprinkled with the H motif.